Three weeks since the gush-a-thon that was my 2015 can’t-wait-to-play list, and yet again I’m selling my soul to the Man. This time though, instead of spouting about games we can only speculate about, I’ve decided to be a bit more practical, and point towards future RPGs that you can support right now on Kickstarter. Many of the games in my hype post were successful Kickstarter graduates, and many more of them are bound to be Kickstarted before release. For the RPG medium, crowdfunding has been a huge boon – it helps lift promising ideas off the ground, directly engages the community for contribution to final products, and perhaps most importantly, rescues well-intentioned aspiring game designers from blowing life savings on ultimately doomed projects. With a number of immensely popular RPG Kickstarters already under the industry’s belt, it’s no surprise that its popularity is spiking, but right now there seems to be more going on than ever (or maybe I’m just more aware than before). Which would be fine… except for all my enthusiasm, the vast majority of these are games I can’t back, regardless of product quality. Being a resident of the UK, the horrific cost of shipping has priced me out of the market. Waiting for a mainstream release is my only realistic option. Really this should have been included in the hype train. 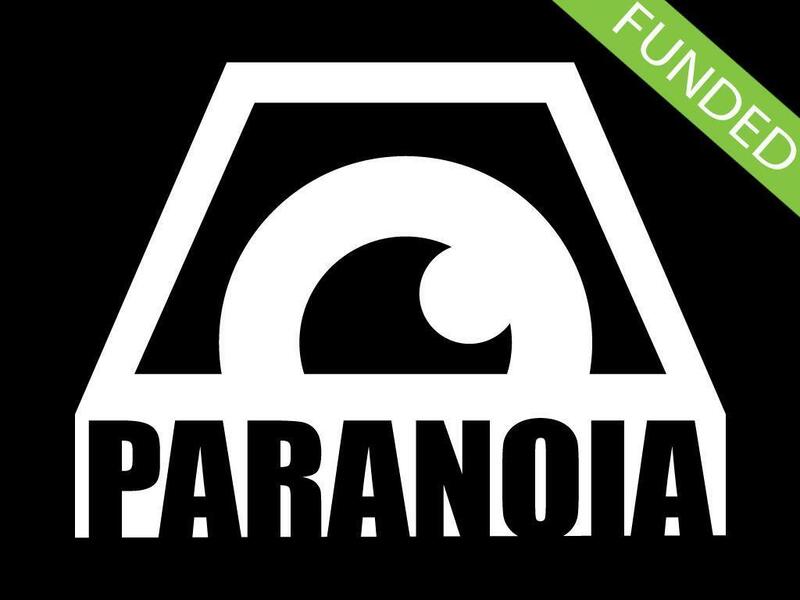 I love Paranoia. I’ve run one-offs at GenCon and other conventions, even whole campaigns for the High Programmers spin off, and have everlasting affection for its brand of comedy that manages to be both wryly satirical and cartoonishly silly. And the names attached to this new edition all fill me with confidence: James Wallis (veteran game developer and Diana Jones Award patron), Grant Howitt (whose blog is one of my go-to gaming websites) and Paul Dean (of the peerless Shut Up and Sit Down). I’m not yet certain how I feel about a boxed-set, card-based update, but I guess I’ll have to play to find out. Anything that makes the game more approachable to new roleplayers is likely to end up a positive. The Kickstarter is running until December, and personally I’m waiting to see what stretch goals unlock before deciding what level to go in at. Best of all, international shipping is free. For everywhere. I’ve no idea how Mongoose Publishing pulled this off (maybe because they’re selling it as a box rather than just a game? ), but I for one am eternally grateful. Though since Mongoose are based in Swindon, UK, it probably wouldn’t have mattered to me anyway. 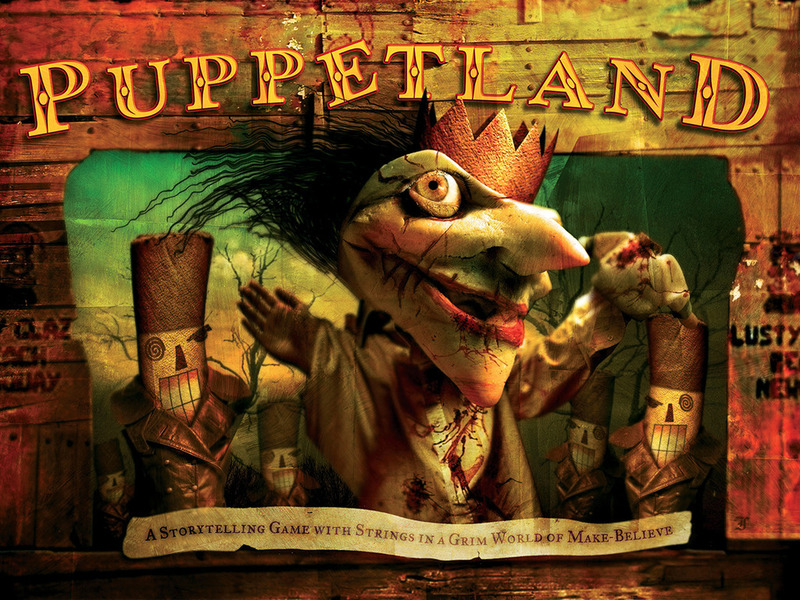 The original Puppetland is yet another grandfather of the indie RPG scene which I am ashamed to have not actually played (damn you Sorcerer…). This new edition is hopefully a good opportunity to finally give this a shot. The premise is delightfully horrifying: there once was a fairy tale paradise where puppets lived in harmony… until Punch took over, killed the Maker and transformed it into a nightmare dystopia. You play the puppets that have survived his tyrannical regime. Lacking even a conflict resolution mechanic, the game is about as indie as it gets, which I’m happy to indulge in from time to time. 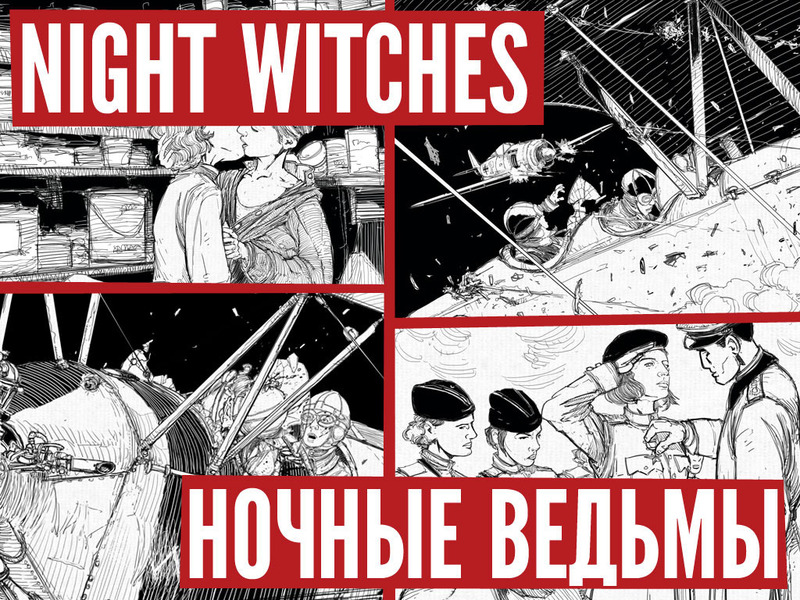 Right now the only concession to international backers is that shipping will be halved if you buy four or more copies. I’m hoping to get a group of friends together. The first of two being Kickstarted that actually WERE in the hype list – Feng Shui 2 and ETU already have been, I’m sure others will be at the start of next year. The campaign’s only been running for a few days, but already it looks set to be one of the biggest indie RPG Kickstarters ever, having smashed through the final total for Morningstar’s previous game Durance (Dungeon World seems to be the one to beat). The more I hear back from people who’ve played this game already, the more jealous I get. This went live yesterday and had blasted through its funding goal before I even found out about it. And rightly so – reading through the Kickstarter pitch has me even more excited than when I first heard Kenneth Hite talking about it however many Dragonmeets ago. Compared to the others, this could get pretty expensive – £50 if you want hard copies of the whole dossier, but that’s not unreasonable for two complete RPG books. 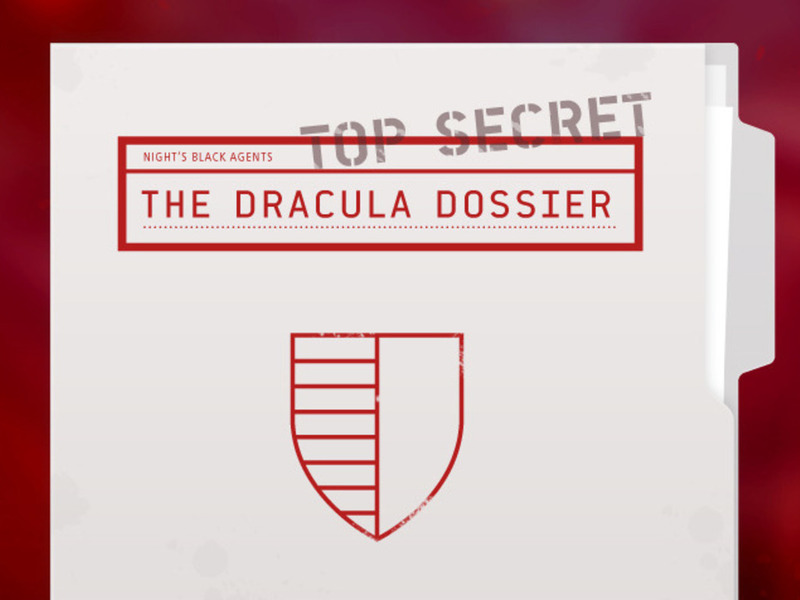 Then there are the later reward levels which are both absurdly expensive and absurdly cool, with versions of “unredacted” Dracula presented in the style of Stoker’s original novel. These are the kind of things I would never consider shelling out for myself, but that I love to see on a Kickstarter. I’m not really sure what the deal is with international shipping here. It’s not mentioned in the FAQs, and whilst the rewards state they ship “Anywhere in the world”, I’m not familiar enough with Kickstarter to know if you have to add in the shipping charges AFTER making your pledge. In any case, since Pelgrane Press are based in London, it hopefully won’t affect me! This one’s something a little different – an indie RPG Kickstarter without the Morningstar name for brand recognition. One of my favourite things about the new wave of Kickstarters is the opportunity it presents for breakout hits that would otherwise be overshadowed by the big companies hogging up space in your local gaming store. So it’d be remiss of me to not bring attention to one such campaign myself. Described as “A Game About Cheating Doomsday”, Riders details the mortal followers of the Horsemen of the Apocalypse having a change of heart and not ending the world after all. Assuming it’s not too late to stop. 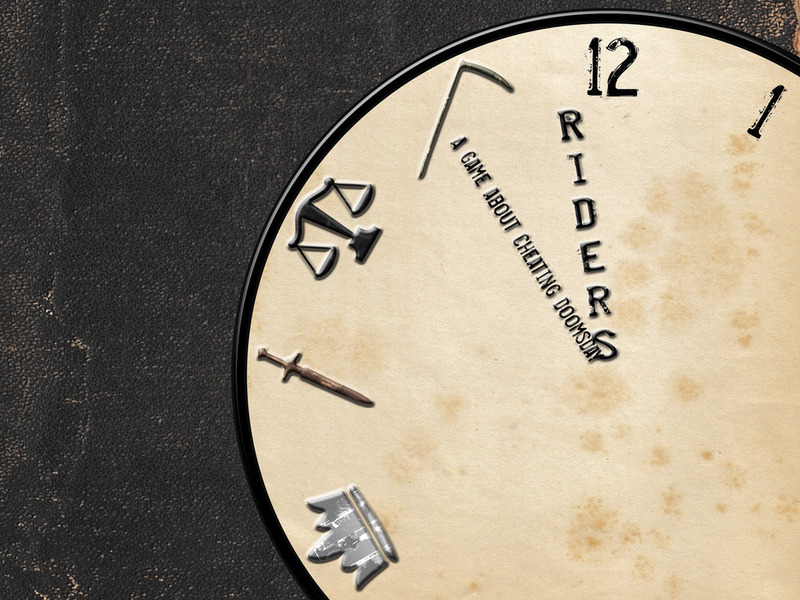 The ticking clock seems to be a recurring feature of Riders’ set up, both narratively and mechanically, which strikes me as thematically resonant and a useful pacing device. There aren’t any discount options for international backers, but this is one of those occasions where I might consider just getting the PDF. I do prefer hard copies, especially for large books, but for a small, cheap indie RPG I’m more willing to make an exception.